There was word of a long-term supply agreement where the newly created Hemisphere GNSS was to still supply AgJunction with OEM receivers, but the OEM business now had to stand alone and fully support itself — perhaps a challenge for the teams in Scottsdale, Arizona, and Calgary, Alberta, that became part of the new company. After the first transition year in 2013, Jon Ladd, chairman of the new Hemisphere GNSS board of directors and former CEO of Novatel, along with the other Hemisphere board members, decided to hire Chuck Joseph in January 2014. Prior to joining Hemisphere GNSS, Chuck Joseph was president and CEO of an energy technology company, and he was also senior VP and general manager of a tactile feedback technology company focused on GPS centric mobile and industrial applications. But the key experience that may have brought Chuck to Hemisphere GNSS was probably when he was corporate VP of marketing and sales at Magellan Corporation and executive VP and general manager of Trimble. I talked at length with Chuck Joseph and his team recently about how things have gone since he joined Hemisphere and the changes that have brought them to some new product launches now being announced. Chuck reviewed some of his experiences from Trimble — a time when even Trimble was struggling in the early days and he helped with a reorganization that pulled them back from some big losses around the time of the first Gulf War — and how that has helped him at Hemisphere GNSS. Focusing on the consolidation of products and markets that work, and moving away from things that don’t work as well — this is always a key element for any recovery. As a part of Hemisphere GPS, the OEM business may have been at a major disadvantage when it was tied so tightly to the success of its own agriculture business — all of its receiver-development efforts were focused on agriculture applications and on whatever worked best for agricultural customers. So the rest of the company’s efforts to create a self-sustaining OEM business all came in second. But with some of the brightest innovators and developers in the GNSS OEM business, Hemisphere had a wealth of experience and a store of existing Intellectual Property (IP) ready to open up when the opportunity came around as a part of the new organization. Chuck likes to talk about Hemisphere GNSS being a “start-up inside a reinvention” — a phrase that describes how life may have been re-energized and changed for the people in the new company. With UniStrong support, there was no need to seek other outside external investment for company expansion and sustainment, so all management effort could be initially focused on the re-engineering effort. Staff working groups were formed that were able to brainstorm and come up with new concepts, explore how they fit with their market and existing customers, and over time create viable approaches, turn them into strong business cases and then go find the support they deserved. “Disruptive” market ideas were at the forefront — ideas/products/services that would allow Hemisphere to make advances in the OEM market that would offset the strengths of the competition and allow them to succeed. Closer partnering with new and existing customers to provide improved value was a major leading concept. Testimonials in the Athena release support Hemisphere’s claims — from independent testing (Andy Carbognin, Vecto Geomatics), marine construction and hydrographic survey (Cable Arm), land survey and machine control (Carlson Software) and agriculture precision steering (Novariant). And Hemisphere GNSS has more new products coming — the company just announced its Atlas GNSS global correction service on June 15. Hemisphere is marketing Atlas using a “disruptive” approach, intended to not only provide end customers with the best value and best performance global correction service available today, but also to support the sales channel that the customers buy through. The sales angle chosen is to allow the sales channel to actually sell and bundle the Atlas service directly to the customer and make money from the sale of the service. This approach is not currently used by other correction service distributors, who tend to have manufacturers and customers deal with them directly for service, sales and support. Positioning sustainability: Position quality maintenance in the absence of correction signals, using Hemisphere’s Tracer technology. Convergence time: Industry-leading convergence times of 10-40 minutes. Receiver-agnostic capability: Atlas is the most receiver-agnostic positioning system available. SmartLink technology allows an AtlasLink antenna to be used as an Atlas signal extension for any GNSS system which uses open communication standards. Network RTK augmentation: BaseLink technology allows Atlas-capable receivers to self-calibrate, self-survey, and automatically manage the transmission of RTK corrections to augment or extend established or new GNSS reference networks in areas of poor Internet connectivity. Atlas subscriptions: Subscriptions are now available for a range of Hemisphere GNSS’s multi-frequency, RTK-capable products — AtlasLink, R330u, V320, and VS330u — and will soon be available via the Atlas web portal and from a number of channel partners and OEMs such as Carlson Software. The provision of “agnostic” corrections via the SmartLink service is a new twist that allows customers to buy the best correction service they choose, rather than being tied to a particular receiver manufacturer and/or their corrections services supplier. Using the Hemisphere GNSS AtlasLink smart antenna, corrections can be supplied over a standard interface to any make of GNSS receiver, provided it has an interface that is compatible with “open-standard” correction data, such as RTCM data format. It remains to be seen if this “receiver-agnostic” approach to corrections supply changes the way that PPP and other correction services are supplied across the industry. The service can also be used to set up base stations to transmit corrections to an existing network using the BaseLink service option, which Hemisphere is also making available. Meanwhile, back at UniStrong in China, Xinping Guo, president and CEO of UniStrong — or ‘XP’ as he is known to the Hemisphere GNSS team — has been actively seeking further funding through potential additional stock offerings, not only to maintain support for Hemisphere, but also to buy additional companies in China. While Hemisphere GNSS has ramped up revenue since being purchased by UniStrong and is on its way to a record year in 2015, it is clearly doing more things and announcing more new products and initiatives than its normal revenue ramp would solely support. So, just as in the case of a start up, UniStrong is supplying supplemental resources to support this very fast track growth. Coordination of activities across the UniStrong and Hemisphere GNSS companies continues as the Hemisphere GNSS company/brand relaunch rolls out during the second half of this year. 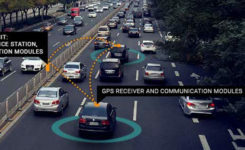 Product designs will flow back and forth across the group, too, with Hemisphere GNSS software used in UniStrong products, and BeiDou capability going into Hemisphere GNSS fourth-generation chips. The collaboration of the UniStrong and Hemisphere product development teams is producing products unique to each market place, to be sold and supported by the respective sales, support and marketing teams, helping both companies. While UniStrong may be able to claim to be leading in China in the single-frequency product (GIS, etc.) market, it’s also easy to see that bringing Hemisphere GNSS multi-frequency capability into China could also improve its domestic market share. So, it’s been a good start to the reshaping of Hemisphere GNSS as a company, its capabilities and its approach to its chosen markets. Let’s see how this roll-out and the anticipated growth continue through the rest of the year, and we’ll check in again in detail with them in the fall. 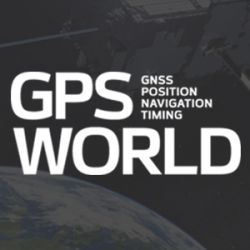 Many thanks to Chuck Joseph and his team for this inside look into what’s going on in the remaking of Hemisphere GNSS. Tony Murfin is managing consultant for GNSS Aerospace LLC, Florida. Murfin provides business development consulting services to companies involved in GNSS products and markets, and writes for GPS World as the OEM Professional contributing editor. Previously, Murfin worked for NovAtel Inc. in Calgary, Canada, as vice president of Business Development; for CMC Electronics in Montreal, Canada, as business development manager, product manager, software manger and software engineer; for CAE in Montreal as simulation software engineer; and for BAe in Warton, UK, as senior avionics engineer. Murfin has a B.Sc. from the University of Manchester Institute of Science and Technology in the UK, and is a UK Chartered Engineer (CEng MIET).